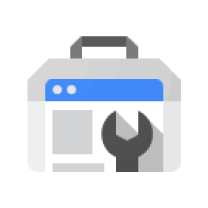 Google Webmaster Tools is a goldmine for marketing and content departments, generating an array of data that will help you craft an intelligent SEO campaign. Now by using EasyStore, adding Google Webmaster Tools verification code to your website has never been easier. Simply copy and paste your verification meta tag and that's it! The data is easy to download, so you can manipulate it to analyze trends and find opportunities. To get started, verify that you are the site owner. It’s a simple process, and it’s even easier if you’re already using Google Analytics or hosted by an “approved” provider.